This campaign conveys the ideals of a corporation rather than the product that they sell or the service they provide. 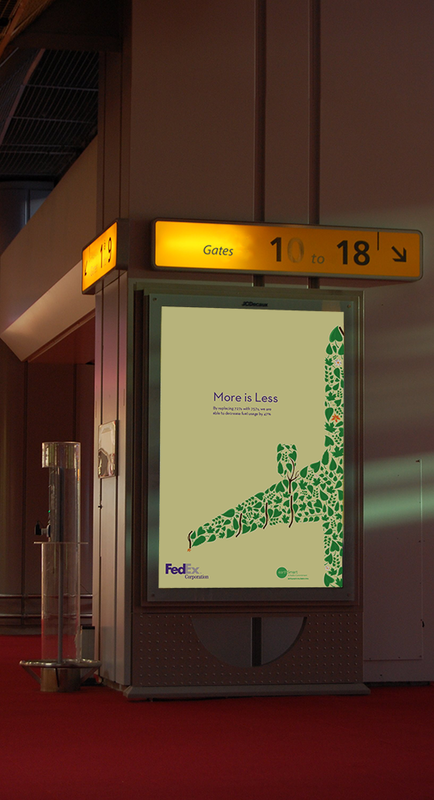 By portraying these vehicles as leaves, flowers and sticks, the campaign emphasizes FedEx’s switch to more efficient vehicles. The airplane ads would be seen in long airport hallways and transit directories while the trucks would appear in magazines.